More than half of older adults have some form of hearing loss, impacting everyday life and significantly affecting their health and safety if left untreated. Hearing aids are the most common treatment for hearing loss; however, many adults fail to adjust to hearing aids and, as a result, stop using them. Now, a new hearing aid adjustment program created by Kari Lane, assistant professor in the Sinclair School of Nursing at the University of Missouri, might significantly improve hearing aid wear time among older adults. "Often, when older adults start using a hearing aid, everything is overwhelming," Lane said. "They can't tolerate the noise, or they can't adjust to it. 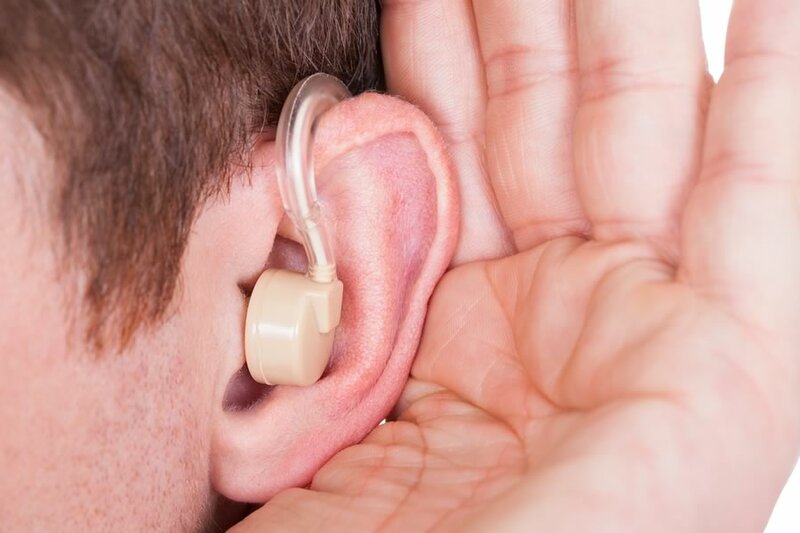 Older adults tend to wait 10 to 15 years before trying a hearing aid for the first time. When they do put it on, they are bombarded with sounds they haven't heard in a while." To help adults adjust to hearing aid use, Lane developed the Hearing Aid Reintroduction (HEAR) program. HEAR is a systematically gradual method to support adjustment to hearing aids. With HEAR intervention, the duration of hearing aid use increases slowly from one hour on day one to 10 hours on day 30. In addition, sound complexity also increases, beginning with sounds the house makes such as fans and the dishwasher to complex listening situations such as a restaurant or theater. The intervention currently is supported through a workbook that provides instructions, tips and encouragement. Patients are able to record their progress in a journal as well as questions or concerns for their audiologist. To test the success of the HEAR intervention, Lane enlisted individuals who have previously tried hearing aids but failed to adjust and those who were trying hearing aids for the first time. "We found an 80 percent increase in patients' hearing aid wear time due to the intervention," Lane said. "The patients also were able to tolerate more complex noises and reported more satisfaction with their hearing aids." This data will be used to help Lane create a complementary app, which will allow patients and audiologists to communicate more effectively regarding hearing aid use. Patients will be able to input their progress, which will be saved to their digital health records for their audiologist to view. In turn, the audiologist will be able to answer questions and send encouragement. "Patients may not be aware of how many times they need to visit their audiologist," Lane said. "Many patients only meet with their audiologist twice, but they need to meet with them as many as eight times when first receiving a hearing aid. That may be why many patients give up on their hearing aids. Communicating with an audiologist through an app may ease that." The study, "Older Adults and Hearing Aids," recently was published in the Journal of Phonetics and Audiology.